Kira Kazantsev is an accomplished young woman. She speaks three languages. She graduated from Hofstra University Honors College in 2013 after studying political science, global studies and geography. She's a public advocate against domestic violence, has been an ambassador for the Children's Miracle Network (in fact, she's now director of digital marketing for CMN), and keeps up a busy public speaking schedule. She also sings, and has performed publicly at major league baseball games and the NBA All-Star Game, among other high-profile gigs. Kira was Miss America 2015. 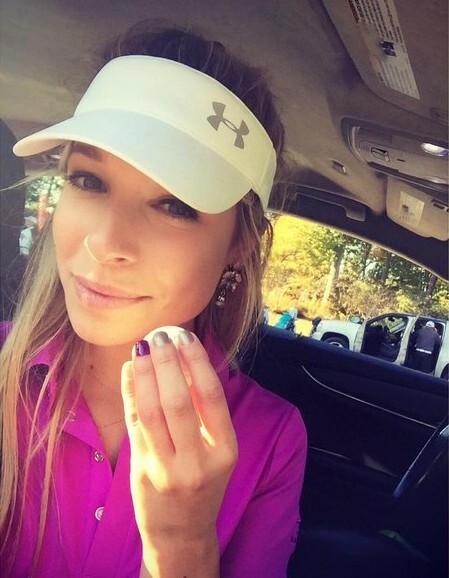 "I love (golf) because it's something I grew up doing with my dad as a way to bond," Kazantsev has said. "As Miss America, it became an incredible business and networking tool. I think women who golf are some gutsy women who hold their own on a golf course and can hang with the boys. Every young girl should learn about golf and be taught to play." Kira picked up golf beginning at age 7. And she's been playing ever since. She's currently a 19-handicap, and as a celebrity she gets her share of invitations to pro-ams. Kira has played in, among others, the BMW Charity Pro-Am (on the Web.com Tour) and the Speedway Golf tournament. Check out Kira's website for more info about her busy life, her advocacy work and charitable causes.